Fenway Health's David Todisco Wins eHana NatCon Scholarship | Fenway Health: Health Care Is A Right, Not A Privilege. Fenway Health’s David Todisco Wins eHana NatCon Scholarship | Fenway Health: Health Care Is A Right, Not A Privilege. Fenway Health’s David Todisco Wins eHana NatCon Scholarship – Fenway Health: Health Care Is A Right, Not A Privilege. 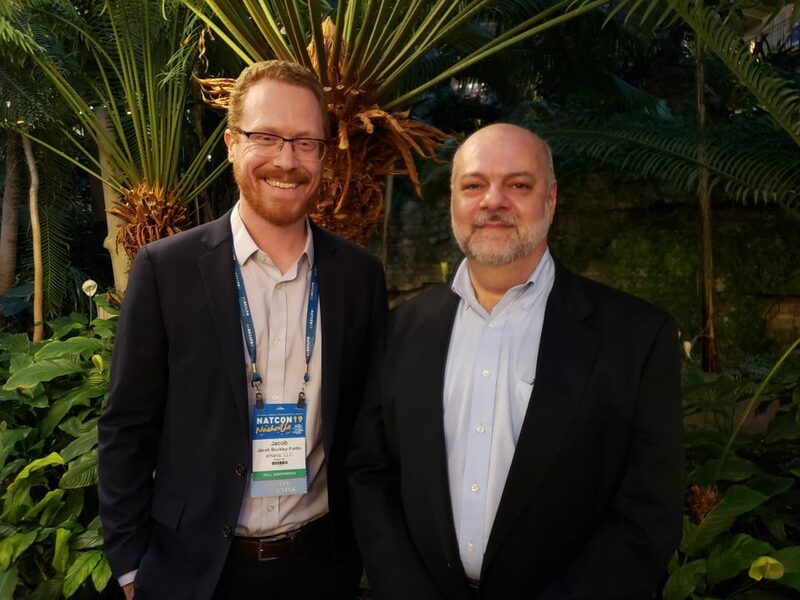 David Todisco, Fenway Health’s Acting Director of Behavioral Health, attended the National Council for Behavioral Health (NatCon) annual conference on March 25 after winning a scholarship. We are very proud that David was the first-ever recipient of the eHana NatCon Scholarship, which is offered through a partnership between eHana and the Association for Behavioral Healthcare (ABH). Over the course of four days, David had the opportunity to be immersed in a large and diverse community of behavioral health care providers and leaders from across the country, participate in continuing education opportunities, attend a pre-conference university training on behavioral health care leadership, and engage in invaluable networking opportunities that the NatCon conference provides. The National Council for Behavioral Health is the unifying voice for the country’s health care organizations that deliver mental health and addictions treatment and services. Its mission is to ensure all people have access to comprehensive, high-quality behavioral health care that affords every opportunity for recovery. The Association for Behavioral Healthcare (ABH) is a Massachusetts statewide association representing over eighty community-based mental health and addiction treatment provider organizations in the state. Member organizations – Fenway being one of them — are the primary providers of publicly-funded behavioral healthcare services in the Commonwealth, serving approximately 81,000 Massachusetts residents daily, and 1.5 million residents annually. The ABH is an affiliate organization of the National Council for Behavioral Health, and is the leading advocacy organization in Massachusetts’ mental health and addiction services arena. Please join us in congratulating David on this well earned recognition!